Beautiful and stylishly furnished apartment in the heart of Zug with own kitchen and bathroom. 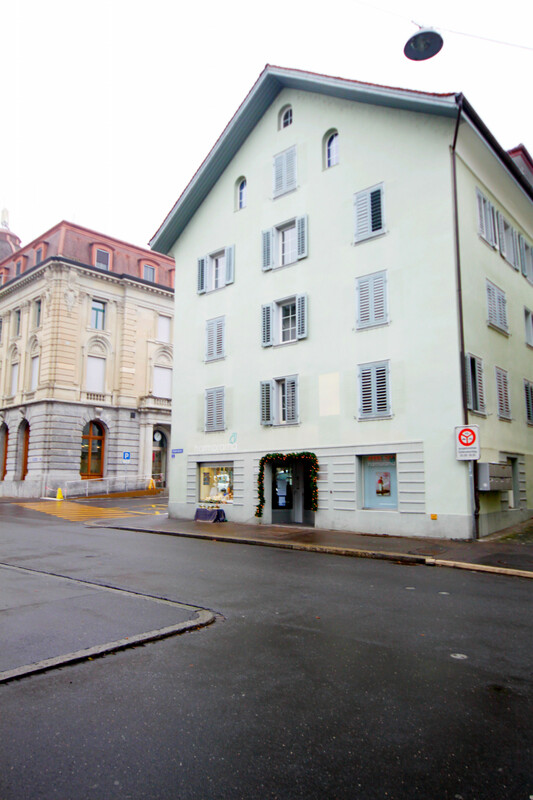 The "Zeughausgasse V" apartment is an excellent solution for your holiday or business stay in Zug. The apartment has 2.5 rooms and can accommodate four people. There is a double bed and a sofa bed. The apartment also has a spacious kitchen with a comfortable sitting area. Here you will find everything you need to prepare a delicious meal. There is also a private bathroom in the apartment. The apartment offers the following services, which are included in the price: Wireless internet, TV, monthly cleaning, bed linen, towels, washing machine and dryer and final cleaning. The apartment is in a very central location. In the immediate vicinity you will find various shopping facilities, restaurants and bars. You can also reach the lake in a few minutes on foot. The apartment is located very close to the Postplatz and the Landsgemeindeplatz. The Landsgemeindeplatz is the heart of Zug's nightlife mile. Festivals, celebrations and events take place here on a regular basis. From Postplatz you can take various buses to Zug railway station and the Metalli shopping centre in less than 5 minutes. In Metalli you will find over 50 shops with various offers. 1 Double bed, 1 Single bed, 1 Sofa bed. 1 TV, Stereo, 4rd floor, iron, internet (Wi-Fi), hair dryer, 50 m² property, pet-friendly (Dangerous breed dogs not allowed), central heating, 1 fan.